Your next best friend is here waiting for you. $10 feeds a mother dog and her pups for one month. We're there for them. Join Us. Our team of extraordinary volunteers making a difference. We are a 501(c)(3) nonprofit organization. Our mission is to help homeless dogs and cats in the neediest and poorest communities with food, shelter, medical care, adoption, and humane care. We love sharing our success stories with you. 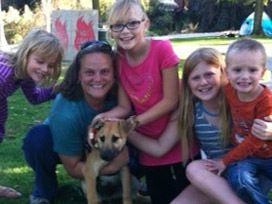 With supporters like yourself, thousands of homeless animals are now beloved family pets. Starving street dogs and cats are fed, sheltered and rehabilitated for adoption. 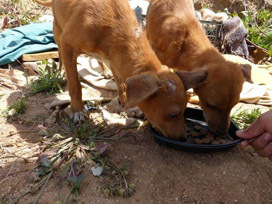 Communities working together are improving the lives of countless homeless dogs and cats. Join us. Our adoptable pets are waiting for a loving and welcoming home such as yours. These wonderful dogs and cats come in all sizes, breeds, ages and bundles of fun! You're gonna love what you see and want to take one of these great pets home. Your next best friend is just a click away. We feed hundreds of homeless street dogs and cats every month, provide medical care for the injured, sick and starving, and shelter those unfortunate souls living in the streets, gutters, under cars, cemeteries and highway underpasses. Spaying and neutering is the key to ending the suffering of unwanted homeless street dogs and cats. 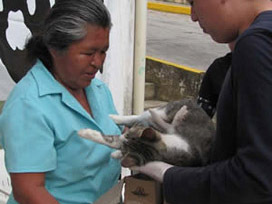 We financially sponsor animal rescue organizations providing free spay-neuter clinics in the poorest communities of the United States and Mexico each month. One female dog or cat and their offspring can theoretically each produce hundreds of thousands of unwanted puppies or kittens in six years. With your support we can stop this cycle of suffering by helping poor communities develop humane animal management. One of our greatest accomplishments is financially sponsoring community groups and organizations that help Mexican dog pounds (“Perreras”) feed and provide humane medical care to their homeless dogs and cats. Our sponsorship assists them with providing food, clean water, adoptions and humane euthanasia drugs for hundreds of unadoptable dogs and cats in six Mexican dog pounds each month. Our goal is to expand our sponsorship of other humane animal services throughout the poorest communities in Mexico, such as low-cost veterinary services. Without humane euthanasia drugs, many of the animals in the Perreras would be euthanized by electrocution. With your support we can continue sponsorship of humane care for these unfortunate homeless dogs and cats, including puppies and kittens and expand adoption opportunities for these wonderful, adoptable pets. We're a 501(c) non-profit organization helping homeless dogs and cats in the neediest and poorest communities. 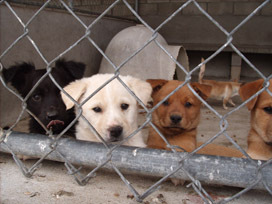 100% of all donations directly fund rescue, rehabilitation and compassionate care for animals in need. You donation is tax-deductible. Thank you.